Multimedia technologies are becoming more sophisticated, enabling the Internet to accommodate a rapidly growing audience with a full range of services and efficient delivery methods. Although the Internet now puts communication, education, commerce and socialization at our finger tips, its rapid growth has raised some weighty security concerns with respect to multimedia content. The owners of this content face enormous challenges in safeguarding their intellectual property, while still exploiting the Internet as an important resource for commerce. 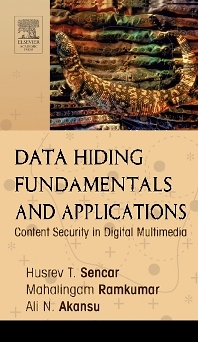 Data Hiding Fundamentals and Applications focuses on the theory and state-of-the-art applications of content security and data hiding in digital multimedia. One of the pillars of content security solutions is the imperceptible insertion of information into multimedia data for security purposes; the idea is that this inserted information will allow detection of unauthorized usage. Engineers, computer scientists, and students doing research in multimedia signal processing, content security, and digital rights management (DRM) systems.